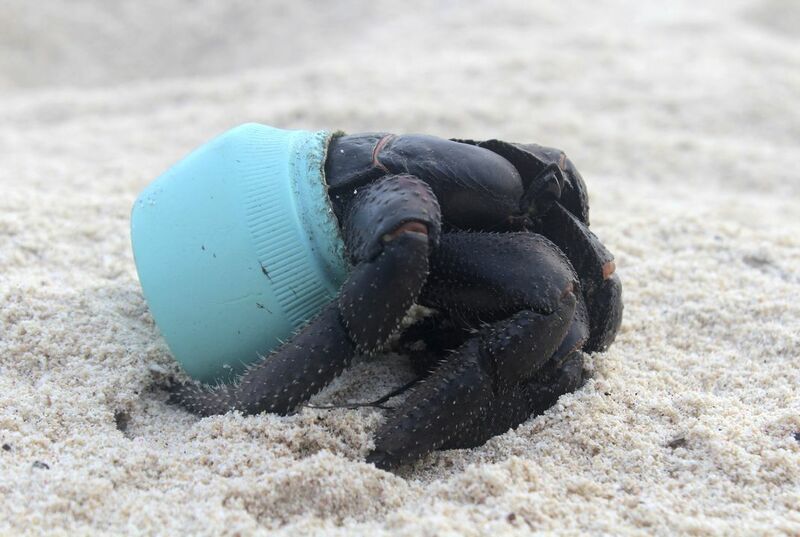 The researchers say the density of trash was the highest recorded anywhere in the world, despite Henderson Island's extreme remoteness. The island is located about halfway between New Zealand and Chile and is recognized as a UNESCO world heritage site. Jennifer Lavers, a research scientist at Australia's University of Tasmania, was lead author of the report, which was published in "Proceedings of the National Academy of Sciences." "The quantity of plastic there is truly alarming," Lavers told The Associated Press. "It's both beautiful and terrifying." Lavers and six others stayed on the island for 3 and a half months in 2015 while conducting the study. They found the trash weighed an estimated 17.6 tons. More than two-thirds of it was buried in shallow sediment on the beaches. "As we get more and more of these types of studies, it is bringing home the reality of plastic in the oceans," Bowen said. How could such a tiny island collect so much trash? 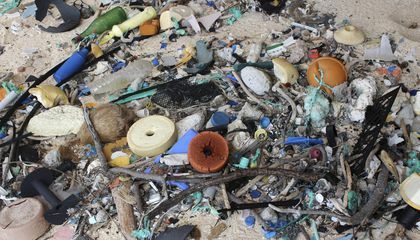 The tiny island could collect so much trash because island is at the edge of a vortex of ocean currents known as the South Pacific gyre, which tends to capture and hold floating trash. Just wow. This reminds me of a video I saw at social studies. In it, it showed how fish eat the dangerous stuff in the ocean and then we eat the fish. I'm even more proud of what I do now. At Mcdonalds. I always choose not to get the toy because it costs more, I never play with it, and the amount of trash already made of plastic. I truly am proud of myself. Henderson Island can collect so much trash because it is at the edge of a vortex of ocean currents. The vortex causes the trash to get stuck and over time it builds up. Then, winds and currents from the gyre push trash towards Henderson Island. Henderson island is island in the middle of the Pacific that is recognized as a UNESCO site, but that is not the only achievement it has recently been recognized for. Research teams from the Australia's University of Tasmania recently traveled to Henderson island only to find an estimated 17.6 tons of trash afloat on and around the island. Melissa Bowen is an oceanographer at the University of Auckland in New Zealand and she said said that the reason for all of this trash piling up is because Henderson island is at the edge of a vortex known as the South Pacific Gyre which tends to capture and hold trash that floats into it. It is a never ending stream of trash washing up on the island because this island is located at the edge of a vortex of ocean currents known as the South Pacific gyre.